This Book of Memories memorial website is designed to be a permanent tribute paying tribute to the life and memory of Charles Wiersch. It allows family and friends a place to re-visit, interact with each other, share and enhance this tribute for future generations. We are both pleased and proud to provide the Book of Memories to the families of our community. Charles Joseph “Chuck” Wiersch of Springfield passed away unexpectedly at his home on Monday, March 5, leaving far too soon for those who knew and loved him. Chuck was born in Atlanta, Georgia, on August 5, 1955, to Charles and Mary Jane Levernier Wiersch, the first son after four daughters. He spent his early years in Decatur and Stone Mountain, Georgia, before moving to Mobile, Alabama in 1964; to Phoenix, Arizona in 1967; and to Leawood, Kansas in 1969. He graduated from Shawnee Mission South High School in Overland Park, Kansas in 1973. Following his 1977 graduation from Kansas University, where he majored in business and was member of Sigma Alpha Epsilon Fraternity, Chuck began his career at Youngblood Motors in Springfield, eventually becoming a valuable and respected partner. Chuck was also a true Springfield icon, well known for years for his energetic “What a Place!” Youngblood television commercials. Even though he was retiring, he still spent much of his time at Youngblood, always providing lunch for employees on Saturday. Chuck was the consummate sportsman. He enjoyed a good game of golf as often as possible and really loved a day spent fishing, especially on northern Minnesota lakes and at Clearwater Lake outside Hibbing, Minnesota, where his family had vacationed during the summers of his youth. Happily, he retained part ownership of a family cabin on Clearwater Lake. 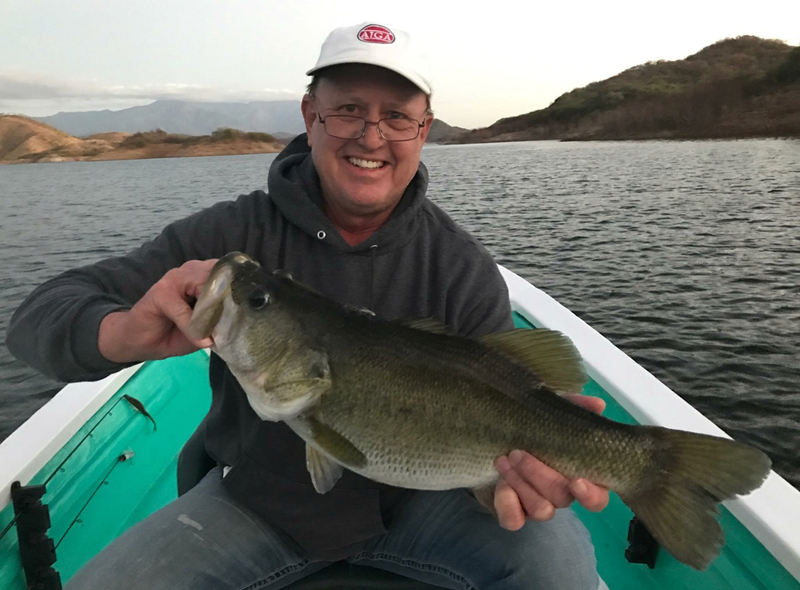 Chuck relished his yearly birthday trips to the Hibbing area, usually taking family along to celebrate his “birthday week.” Chuck also loved his solitary fishing trips to Lake Bacarrac in Mexico and enjoyed showing pictures the fish he caught but had to leave there. Among Chuck’s great pleasures was cooking for others, and he delighted in presenting beautifully prepared meals, especially barbequed meats, with more food on the table than those gathered could ever consume at one sitting. Beyond that, he loved to read and to travel, he loved the Kansas City Chiefs, and he loved his dogs. Chuck was an adventurous, fun-loving man, often a prankster but always thoughtful and generous. He had countless enduring friendships. Chuck deeply cherished his family. He adored being “Big Chuck” to his three grandchildren and tried to see them almost every day. Chuck was predeceased by his father, with whom he shared a special bond, by his oldest sister, Charlotte Marcia Johnson, and by his former wife, Theresa Stock Wiersch. He is survived by his mother, Mary Jane Wiersch, of Springfield, and by his daughter, Greta Wiersch Griffin, her husband Joseph Griffin, and his grandchildren Tatum, Milo, and Noah Griffin, all of Nixa. In addition, three sisters survive him: Cynthia (Chuck) Empson of Independence, Kansas; Jo Anne (James) Costello of Larkspur, California; and Linda (Charles) Segebrecht of Lake Quivira, Kansas. Chuck is also survived by numerous nieces and nephews. He will be forever missed by his partner and best friend, Manndi Maphies De Boef, and by her two sons, Liam and Waylon. A celebration of life for Charles will be from 2:00 to 4:00 pm Friday, March 9, 2018 at Grenlawn Funeral Home East. In lieu of flowers donations may be made to The Community Foundation of the Ozarks to the Teresa Mae Wiersch Fund benefiting BCFO 425 East Trafficway Street Springfield, MO 65806.